Checkpoint inhibitors targeting the PD-1/PD-L1 axis are a promising treatment option in several tumor types. PD-L1 expression detected by immunohistochemistry is the first clinically validated predictive biomarker for response to PD-1/PD-L1 inhibitors, though its predictive value varies significantly between tumor types. With the approval of pembrolizumab monotherapy for treatment-naïve, advanced non-small cell lung cancer, PD-L1 testing has to become broadly available in pathology laboratories. When PD-L1 testing started to be introduced in routine pathology practice, there were several open issues, which needed to be addressed in order to provide accurate results. 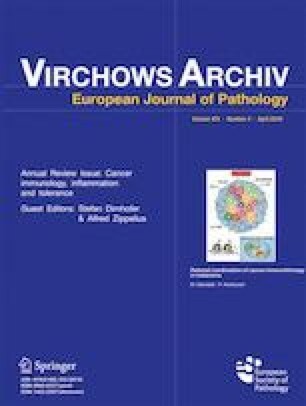 This review will discuss the complex biological background of PD-L1 as predictive biomarker, summarize relevant clinical trials in NSCLC illustrating the origin of different PD-L1 expression cutoffs and scorings, and address issues important for PD-L1 testing including the analytical comparability of the different clinical trial-validated PD-L1 immunohistochemistry assays, the potential of laboratory-developed tests, and an overview of the different scoring algorithms. S.S. attended advisory board meetings of MSD and Astra Zeneca, has a consulting role for MSD, and received speaker’s honoraria from MSD and Roche. L.B. attended advisory board meetings of Roche, MSD, Bristol-Myers Squibb, and Astra Zeneca and received financial research support from Roche and MSD. The manuscript is in compliance with ethical standards.